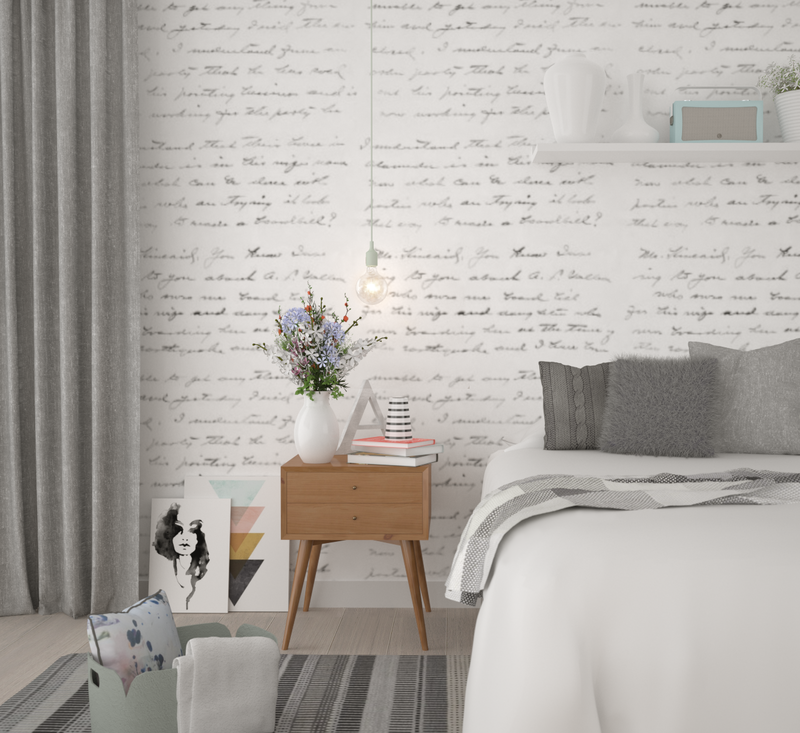 How to Create an Awesome Vignette! I recently made some downright life-changing purchases and as a result, decided to restyle the top of my bookcase. Because we all need to have a refresh, where our vignettes are concerned, right?! In case you’re wondering, a vignette is the term that’s used in the interiors world, to describe a group of visually pleasing objects. So, you could have a vignette in your bookcase, on your coffee table, or sideboard. My biggest life-changing purchase has been a vase. I’ve wanted this vase for sooooooo long and decided a few weeks ago to buy it. I love this vase so much, that I’ve included it in a few of my 3D visuals. And then used it again in my Scandinavian bedroom design. And now it takes pride of place on top of my bookcase!! BOOM! If this vase doesn’t enhance your life, nothing will. NOTH-ING. A vase of this life-enhancing nature, means that everything in its vicinity requires re-plumping, re-positioning and revitalising. I could almost hear the sharp intake of breath from my cushions, knick-knacks and accessories already in situ, when this vase arrived. There were going to be BIG changes and they knew it. After a few disagreements and a bit of cajoling (bloody cushion), here’s my revitalised vignette, in all its glory! So, what is the secret to pulling together a visually pleasing display? There’s a few rules that I tend to follow; like making sure you use different shapes and sizes. Height is really important, you can see that the metal wall art is providing oodles of height in the above image, followed closely by the faux wheat stems. Playing around with texture is also crucial. I have included metallics to visually lift and add a bit of bling, but have also included matt finishes (the two handmade, Gray & Willow, vases sitting on the tray are unglazed and are glorious ‘muddy’ shades to add a bit of grounding). The striped vase has a gloss finish and the tray has a tarnished ‘old gold’ effect. It’s all a lovely mix of colours, styles and finishes to keep the overall display visually enticing. 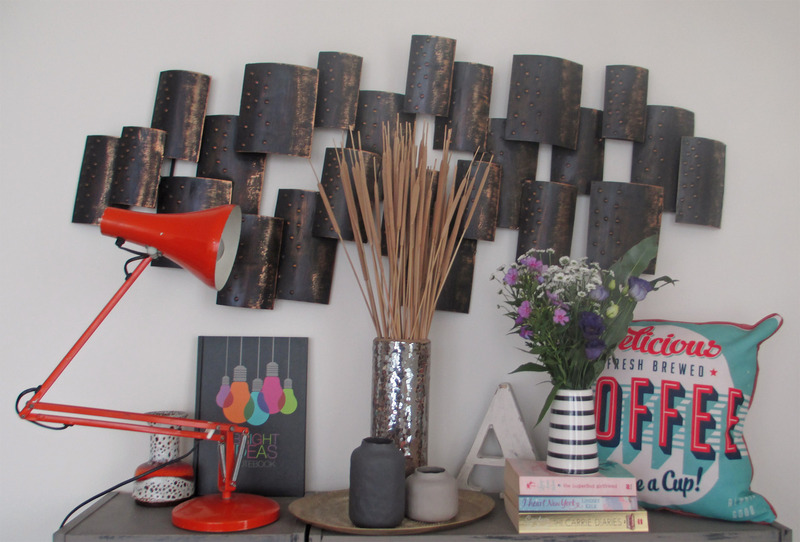 And let’s not forget that there’s also a fab mix of vintage and contemporary styling. 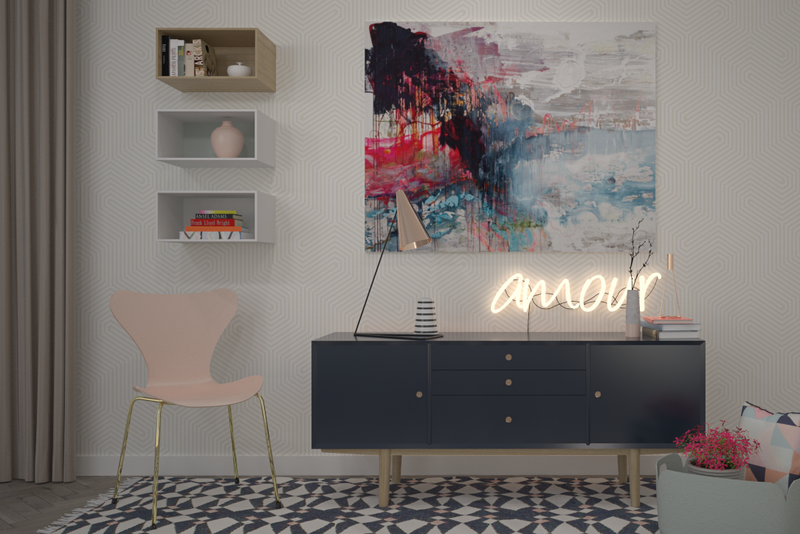 The Anglepoise lamp and Jasba vase (far left), are vintage and add a whole heap of character to this vignette. Plus, they add a great pop of colour to keep this arrangement interesting. I’m a huge fan of placing cushions in unexpected places. I like to lean them casually against things, or plop them in bookcases. So I decided to place my cherished, vintage inspired, cushion on top of the bookcase too. Books are always a great addition to any vignette, especially if they act as a contrast or compliment the colours used elsewhere. I thought the metallic gold cover was a nice touch. 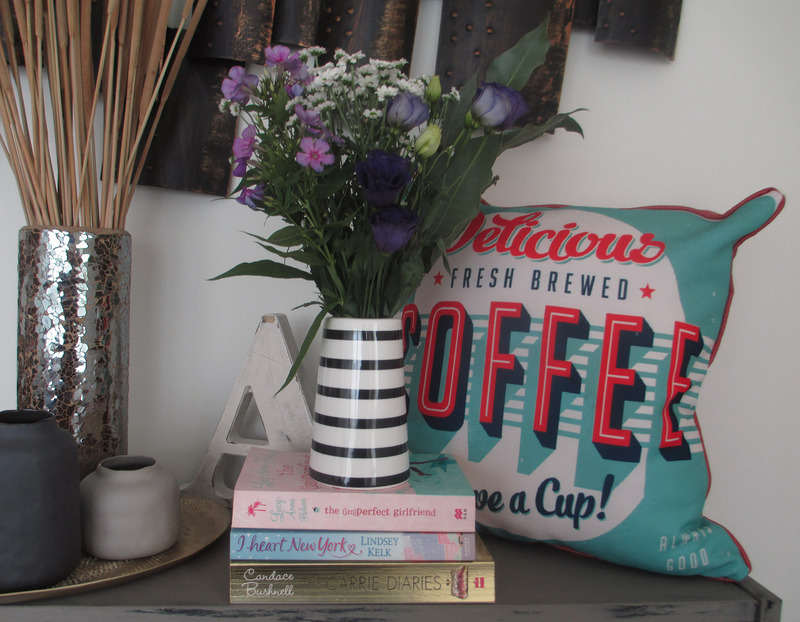 I absolutely love my new restyle, especially my new vase! It’s made by House Doctor and can be bought at House Envy, just in case you’d like to buy a life-enhancing vase too!